For the past few years, I’ve been creating Advent calendars for my family members. They’re not anything elaborate or expensive but they’re definitely from the heart. When I was a little girl, every morning we would run to our calendars and find out what kind of chocolate was waiting behind the numbered door. Things are a little different now. I try to include as many experiential gifts as possible. I completely understand my sisters aren’t super excited about my niece and nephews getting “sugared up” each morning. 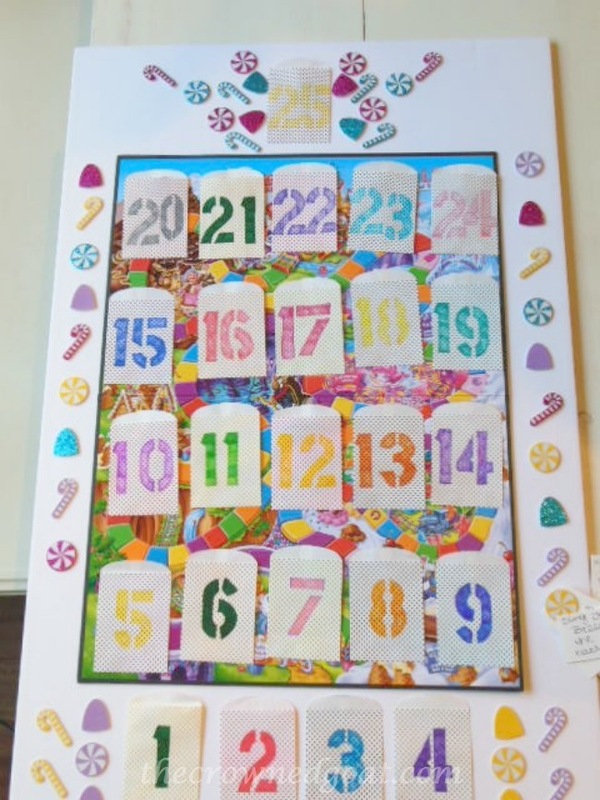 This was the Candy Land theme calendar I made for my nephew last year and it was a big hit. Don’t worry, I snuck a few pieces of candy in those paper sacks for him. 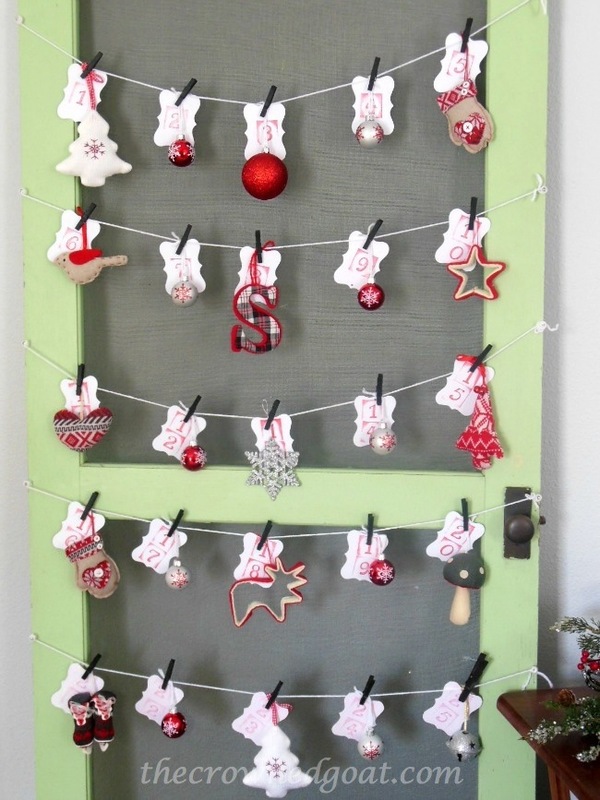 This year, I’ve made an Advent calendar from an old screen door. 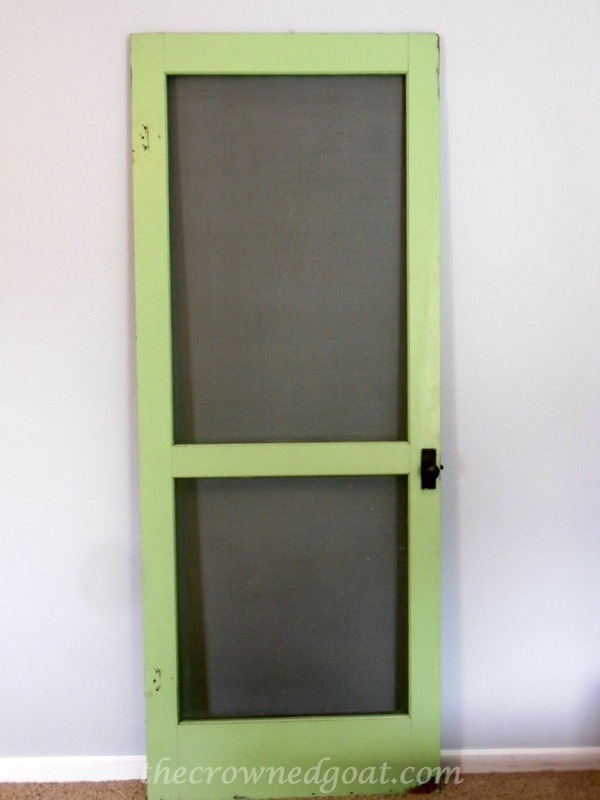 I found this screen door at one of my favorite places to treasure hunt in St. Augustine and couldn’t wait to bring it home. It’s my dream to have it slamming behind me as I exit The Crowned Goat’s headquarters each day. Until then, it was the perfect backdrop for this special calendar. With the door in place, I secured 10 clear pushpins using 5 pins on each side of the door. Next, I used white yarn and stretched it across the front of the door from one pushpin to the other. You’ll need 5 pieces of white yarn total. After the yarn was all set, I started working on the number tags. 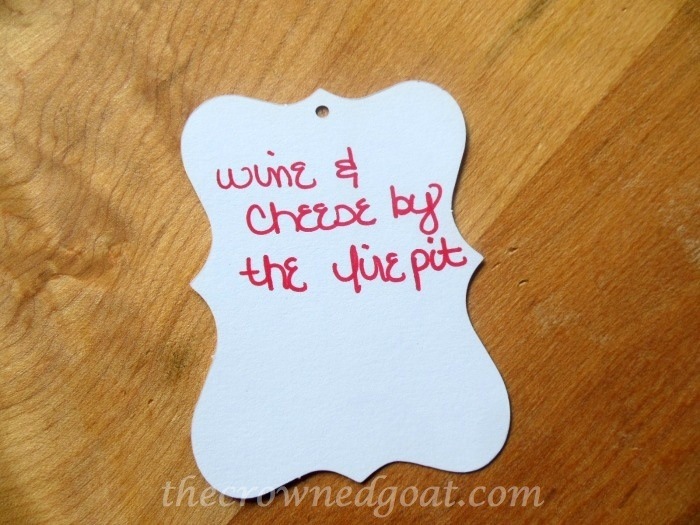 You can buy a package of gift tags from your local craft supply store, order them online or make your own from card stock. 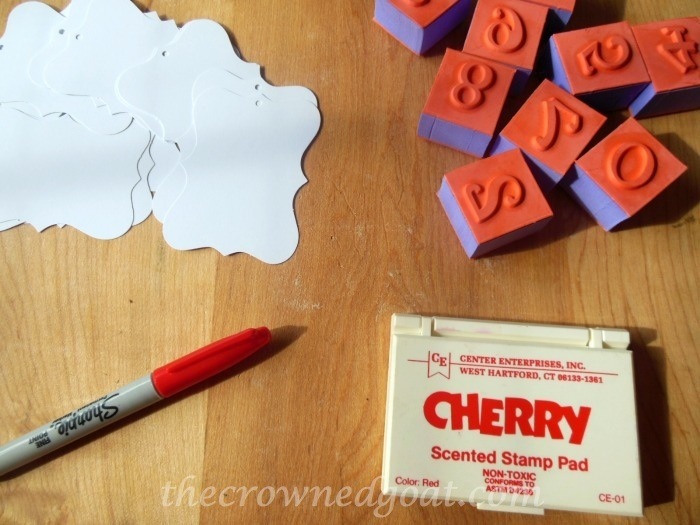 I used rubber number stamps and a red stamp pad to create these tags. On the back of each numbered tag I wrote everything from “wine and cheese by the fire pit” to “gingerbread latte at Starbucks on me.” This part is totally customizable based on your holiday schedule and the recipient of the calendar. 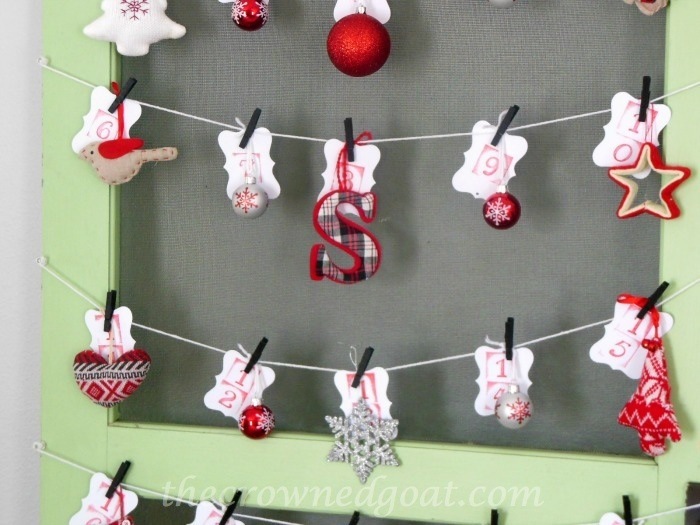 With my numbered tags completed, I used white yarn and small black clothespins to help secure the ornaments and tags to the string. You can find these clothespins at most craft supply stores. 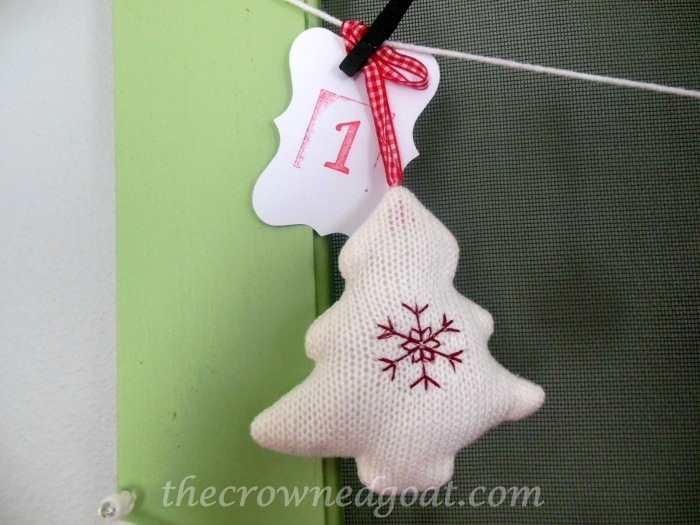 Since we celebrate the Advent season from December 1 – December 25 I needed 25 tags, 25 gifts/ideas and 25 different ornaments one for each day of the season. This is the kind of gift that takes a little bit of creativity and a lot of heart. You can make one for your spouse and find a way each day to tell them how much you love them. You can provide encouragement to your kid away at college or your loved one on the top bunk of a barrack at OCS. Maybe you want to include special scriptures or daily devotionals on your tags. This is an inexpensive way to let someone know how much you care about them, want to celebrate them or simply a way to start making new family memories. And speaking of making new memories I am honored to be able to bring to you my first ever giveaway! When my dear friend and artist Liz Bonin contacted me and said she wanted to help with a giveaway I was floored. This lady is the real deal and has oodles of talent. She was easy to work with and took extra care to make this piece really special. I know you guys are going to love this as much as I do! For a chance to win this framed chalkboard art (7 ½ inches by 18 inches) simply click below to enter and one name will be chosen via Rafflecopter. This giveaway will end on midnight EST on Wednesday, November 26, 2014 and the winner will be announced on Friday, November 28, 2014. Good luck! 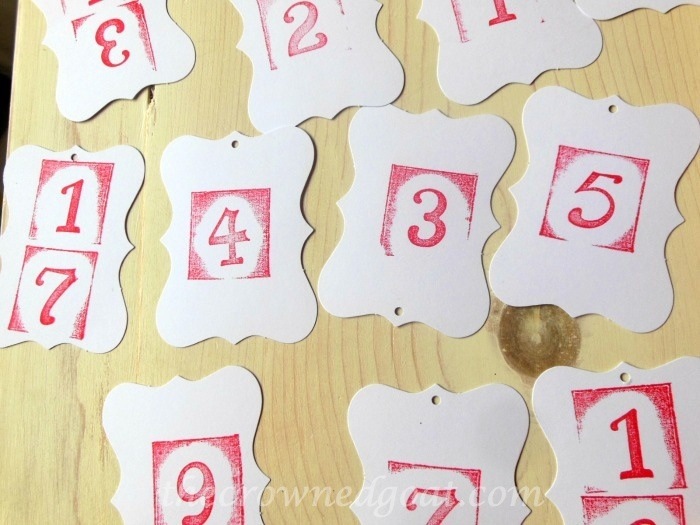 CoCo – Your wonderful advent calendar is so endearing and meaningful! 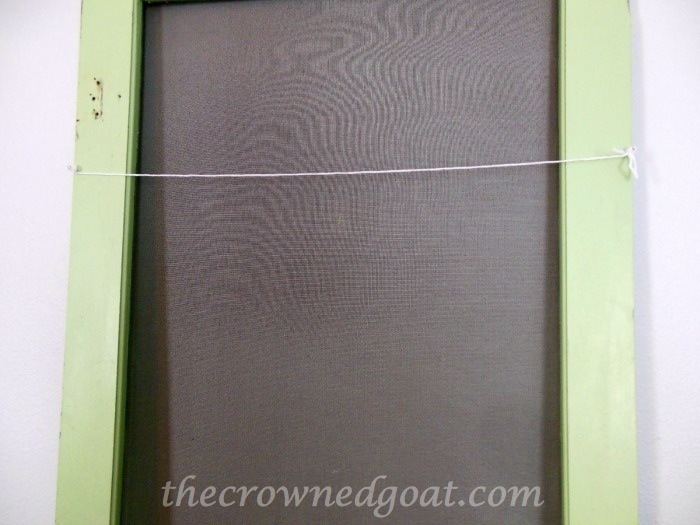 The screen door is vintage at its best and your mementos and messages are heartfelt! You are a tea sure my friend!!! I meant every word Liz! Thank you so much for helping me with this giveaway. You’re the best! I think the girls would be really excited to get an Advent Calendar from you. Gifts from home are so much fun! Thanks for taking the chance LiLi! Good luck! You’re so sweet, Lisa, thank you I really appreciate your kind words! Thanks for the lovely giveaway! The chalkboard would look wonderful with my collection of Santas! Connie, so excited you entered the giveaway! Good luck!